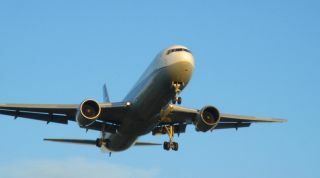 Brits hoping for a technological distraction from those choppy take offs and bumpy landings will be forced to ensure for a while longer yet, despite a landmark ruling in the US which allows gadget use during all stages of flight. Following the Federal Aviation Administration's (FAA) much-welcomed decree, US airlines Delta and Jet Blue have stopped asking passengers to 'turn off and stow all portable electronic equipment.' Phone calls are still off limits. However, CNET UK reports, the knock-on effect might take a while to reach the British airlines, as it'll need to be examined by European regulators before our own Civil Aviation Authority can take action. According to a spokesperson for the CAA, it'll be "months rather than weeks" before those leaving and arriving in Blighty will be able to play Candy Crush Saga for the whole journey. The spokesperson said: "Portable electronic devices (PEDs) are now a major part of many people's lives and naturally passengers want to use them when they fly. As such, we welcome the FAA's review on the use of these devices by airline passengers. "We will be studying the review's recommendations closely and discussing their implications directly with the FAA and also the European Aviation Safety Agency, which will be responsible for deciding a European-wide response and next steps." A Virgin spokesperson also told CNET it welcomed the FAA's decision and hoped it'd lead to a more enjoyable flight experience for their customers in the UK. Did you hear that one about Apple Maps sending some poor driver on to an airport runway? What do you mean where's the punchline? It actually happened.